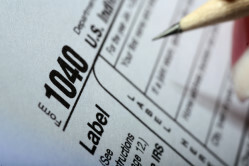 At Ward & Meyers, LLC we know that proactive and aggressive tax planning is critical to minimizing your tax liabilities. When you work with us we make tax planning part of your overall business strategy and not just something we do at year-end. Our goal is to make the process of tax planning and preparation a simpler process that provides timely, meaningful information, and assists you in minimizing your tax liabilities currently and into the future. Send us an e-mail or call (305) 293-0265 to learn more about the tax preparation and tax planning services we offer to Key West businesses and individuals.